• Compact stylish design delivers professional performance with enhanced capabilities such as N-in-1-copy, which improves productivity and reduces paper costs..
• Paper Tray Capacity: 250 sheets. • Page Memory: 400 pages. • Automatic Document Feeder: 30 Sheets. • 22 one touch dials. • Modem Speed: High speed super G3 (33.6kbps). 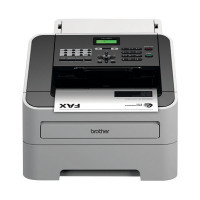 The Brother FAX-2840 Laser Fax Machine supports the high speed Super G3 connection for fast transmission of faxes, so you're never kept waiting around for a fax to send. The 22 speed-dial fax number memory lets you store commonly-used numbers, saving you even more time. 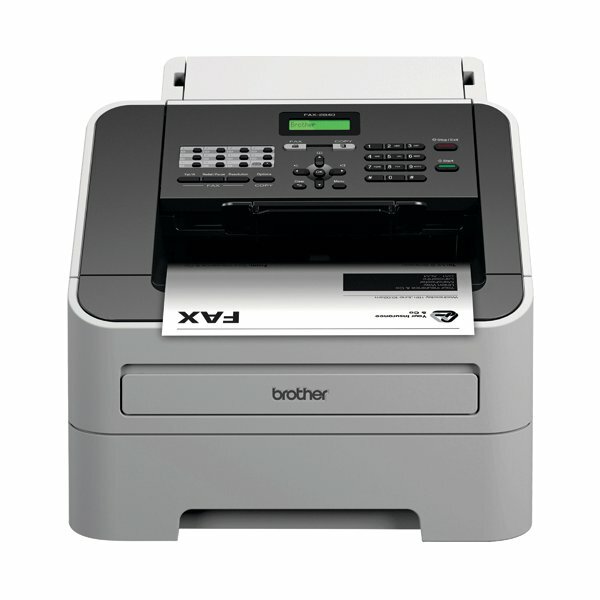 It doubles as a high-speed photocopier, able to reproduce up to 22 copies per minute.